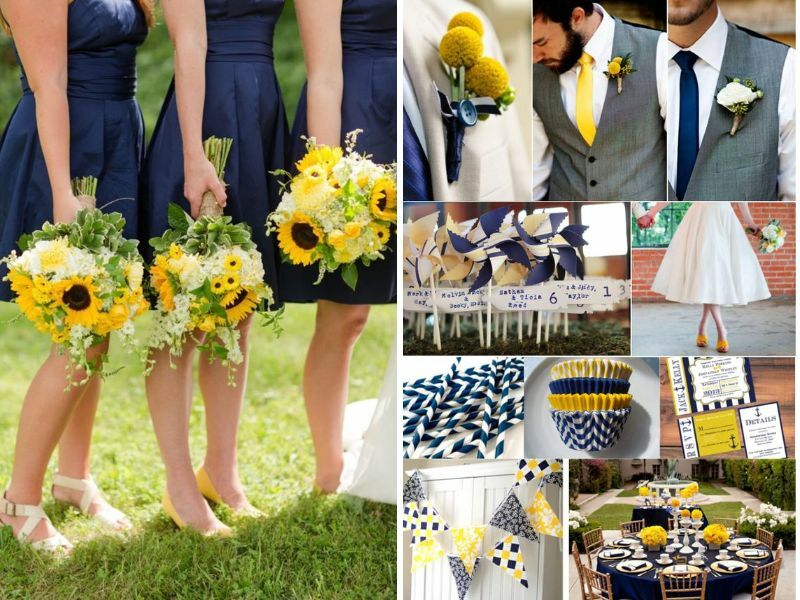 The bold combination of navy blue and yellow perfectly compliments a rustic or barn summer wedding. 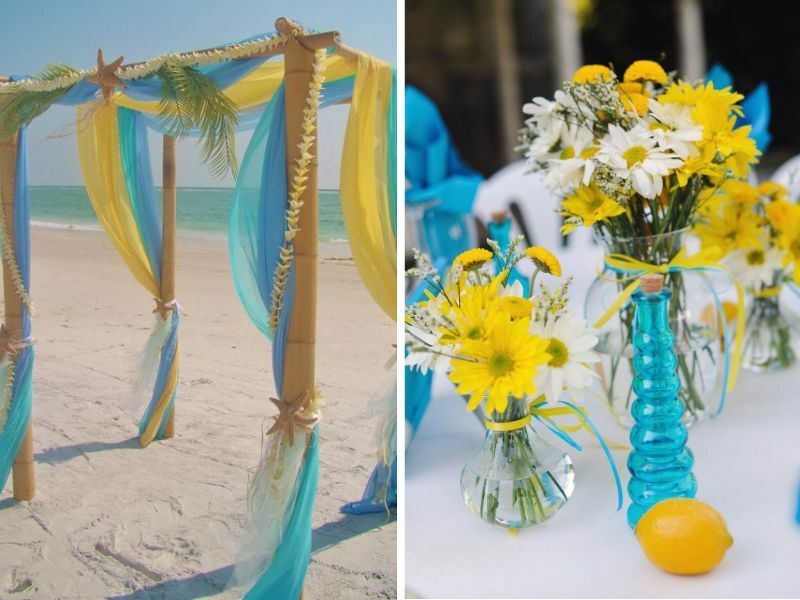 The yellow accent gives the overall wedding décor a brightened ambiance. 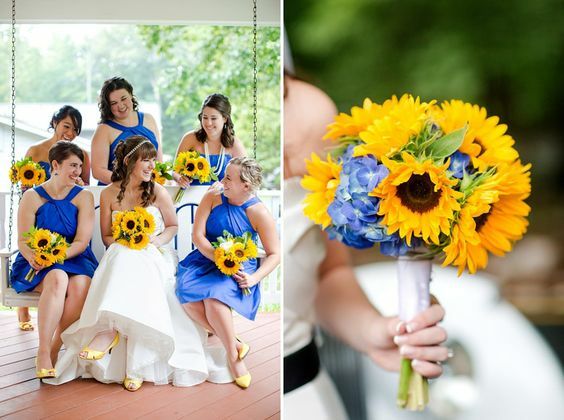 To give a more rustic feel, use sunflowers in bouquets and floral arrangements. For accents, grey and white are the best choices. 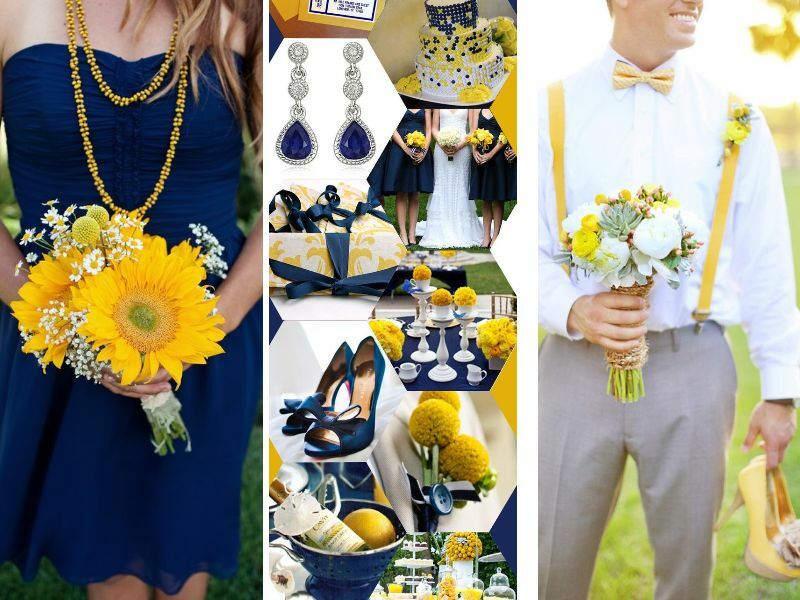 Groom or groomsmen can try wearing yellow suspenders. Or a grey tuxedo with a navy blue tie and Billy balls as a boutonniere. The combo adds a glow to even a night time reception. 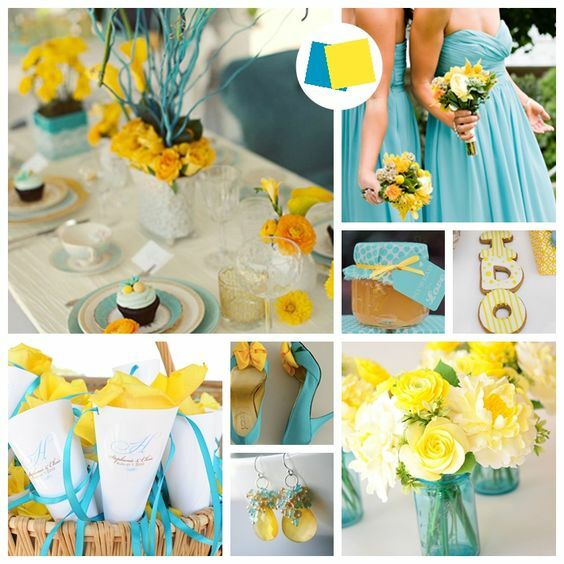 A color as soft as light blue gives an exceptional tone during a spring daytime wedding. 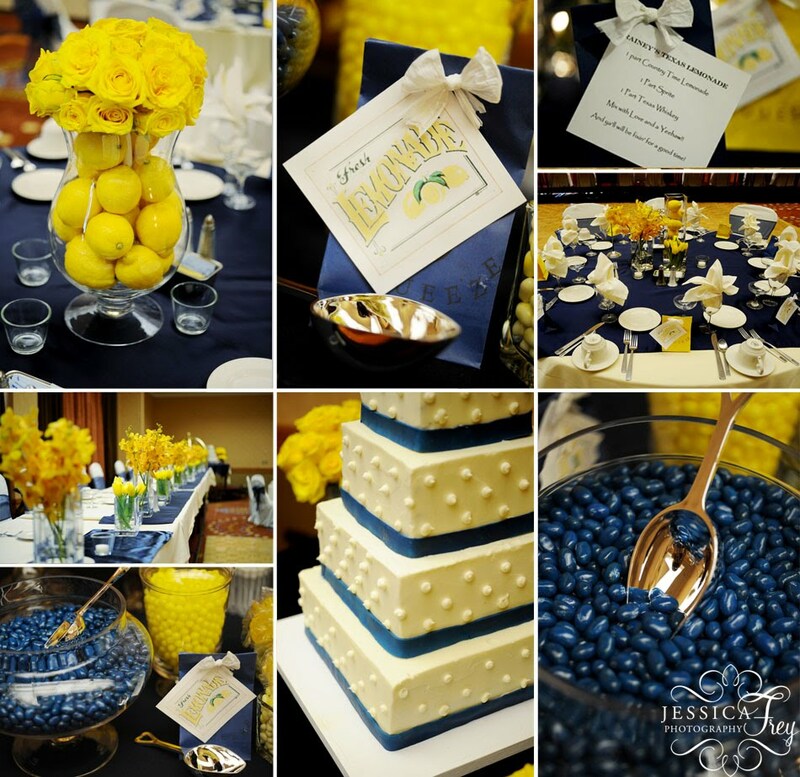 Comboing other blue colors with yellow is a great idea for waterside wedding receptions. 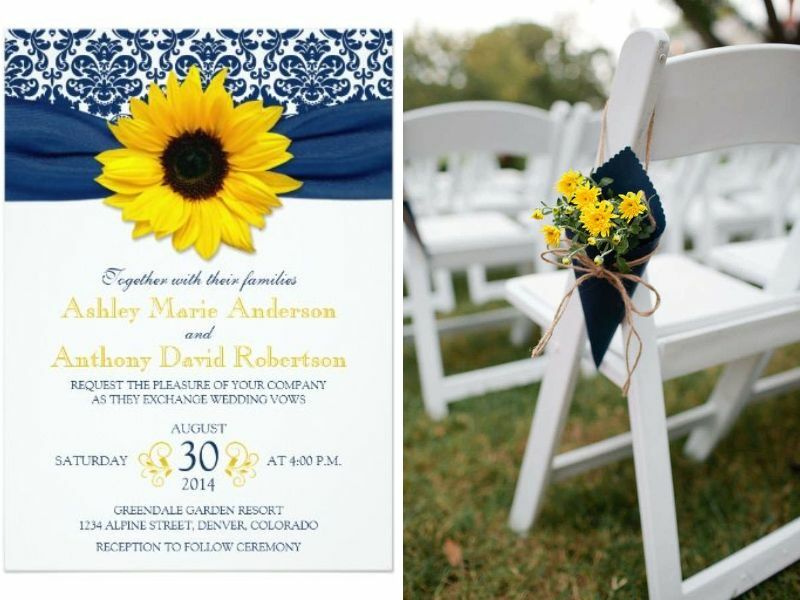 From dresses to the overall décor of the event, this combination guarantees an easy-on-the-eyes and romantic aura. 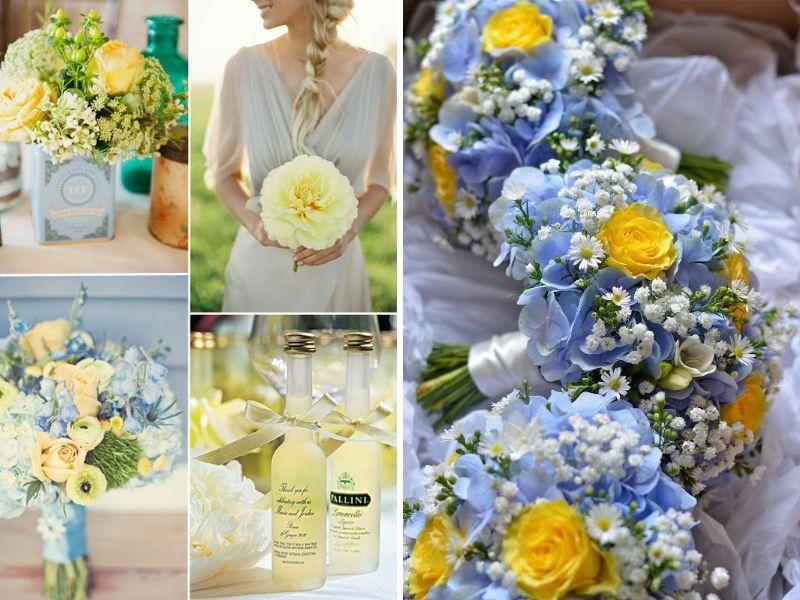 Try a bouquet with yellow roses accented with blue hydrangeas. 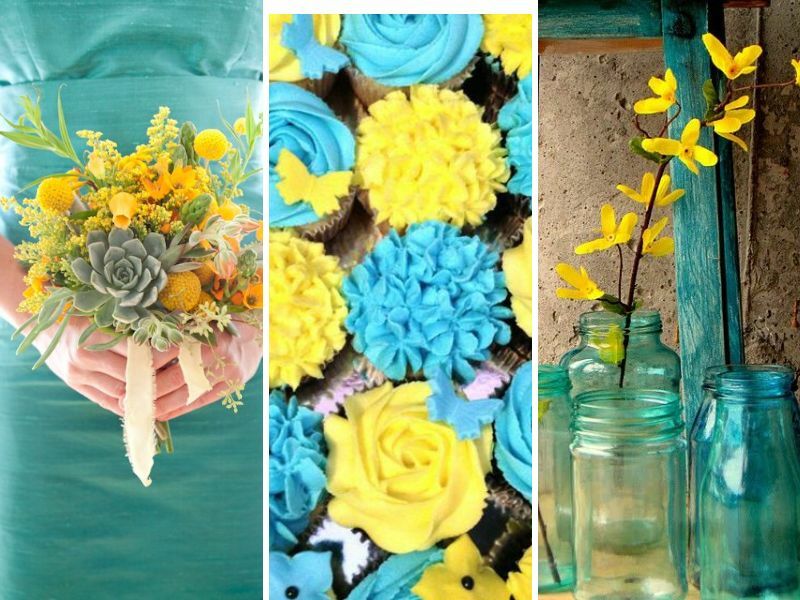 For a lighter shade of blue, using a soft shade of yellow gives a soothing effect. 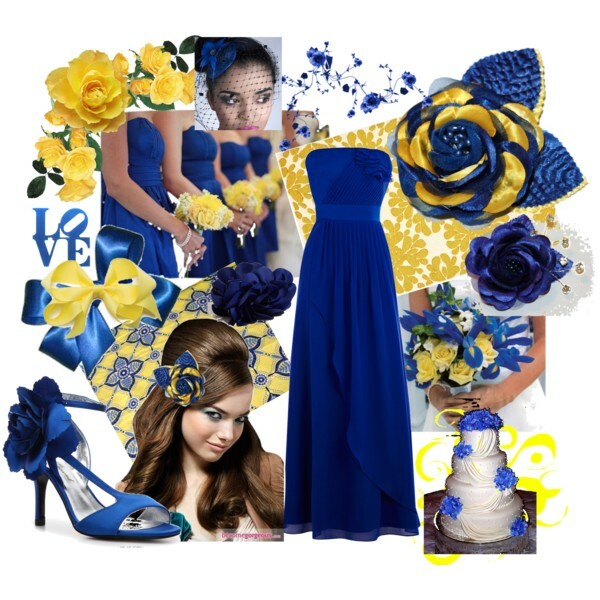 A refreshing combination of royal blue or yellow as the main color evokes an elegant feel. 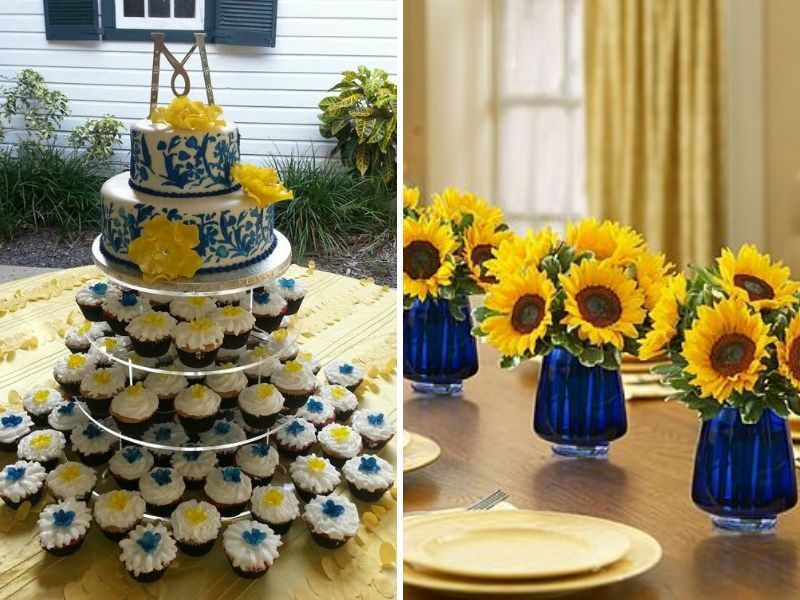 A spring wedding can be wonderfully accentuated with floral accents like sunflowers, daffodils, Billy balls and butterscotch roses. 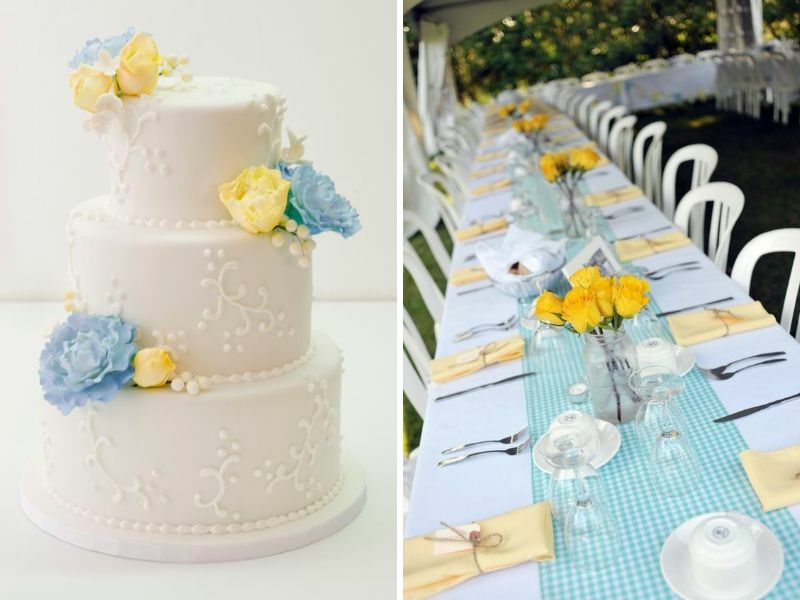 From dresses, centerpieces to desserts, every single detail will become flattering. Give night time receptions a glowing feel by using the combo alongside candles. 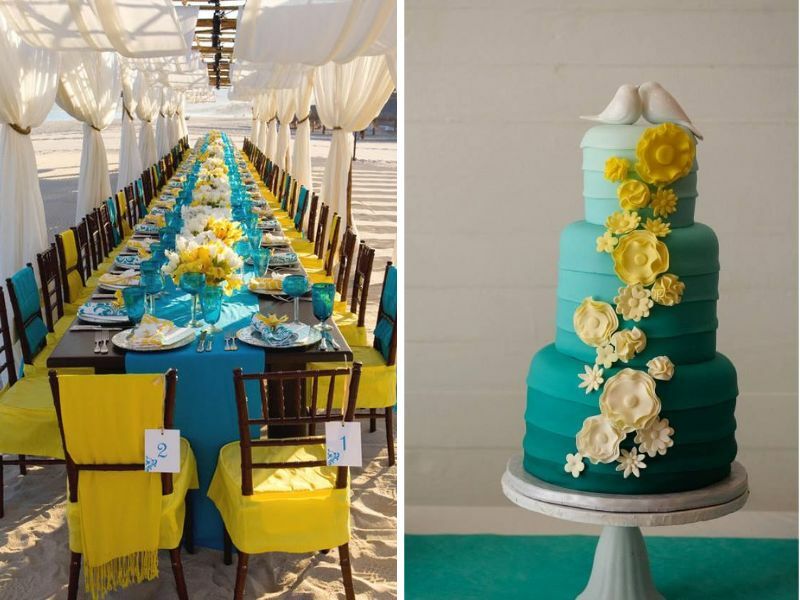 These two colors when combined bring the most romantic tone to beach weddings. 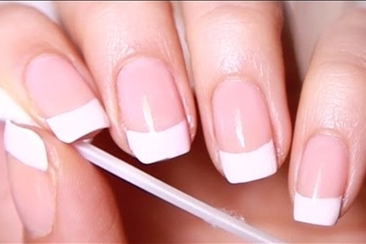 The addition of white accents adds more to its sophistication. 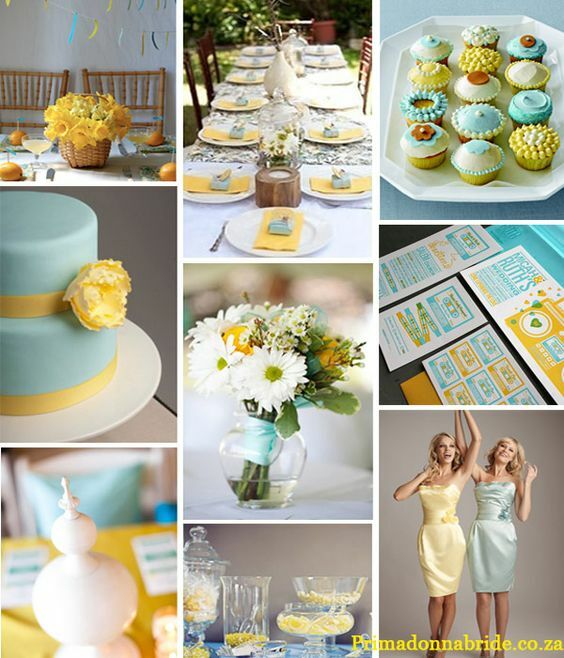 Give the wedding a unique touch with a white bridal dress and a sunny yellow sash g. Teal bridesmaids dresses with sun-kissed yellow flowers, desserts like wedding cake, cupcakes and macaroons, glass teal vases with yellow flowers, teal and yellow drapes on chuppahs, all combine exquisitely. Using matched china and crockery and teal glasses on the table add a spark in the overall look. 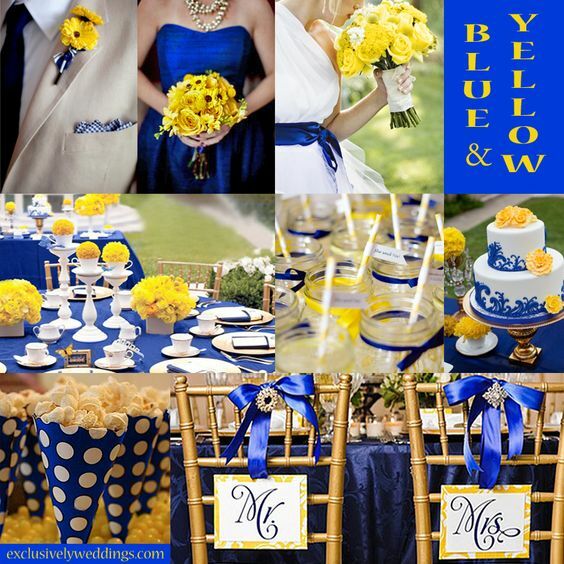 A fresh yellow color is vibrant compliment to this dull shade of blue, perfect for daytime garden weddings. Green and white accent the look wonderfully. 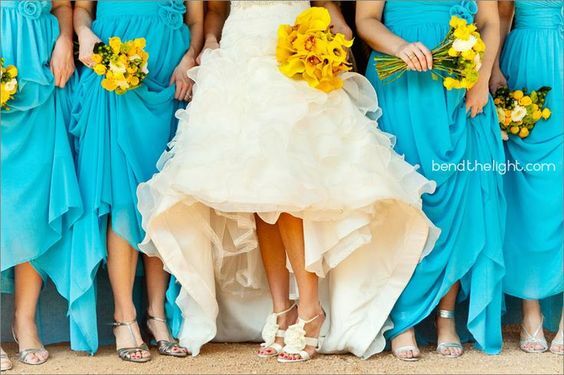 Pale blue bridesmaids dresses are best complemented by yellow bouquets. 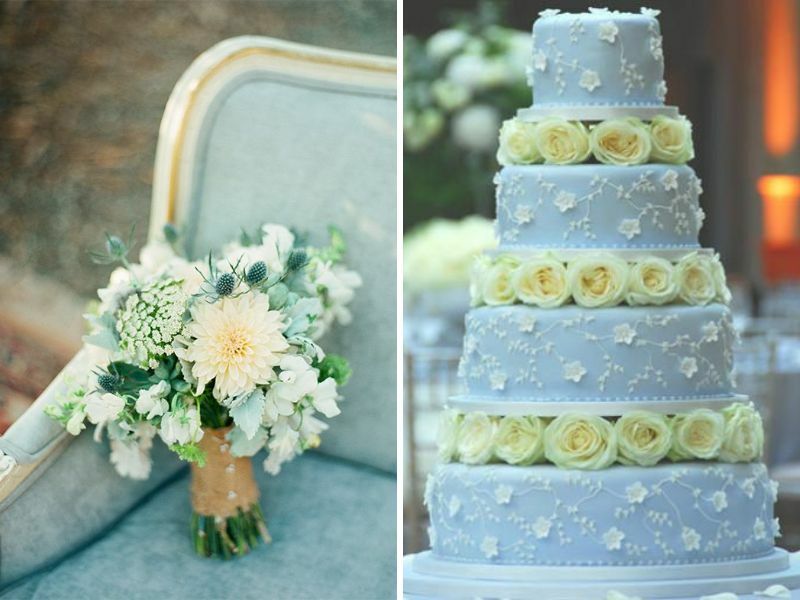 From Centerpieces to wedding arches, all can be elegantly decorated with floral accents like hydrangeas, Billy balls, yellow peonies, baby breath and roses. 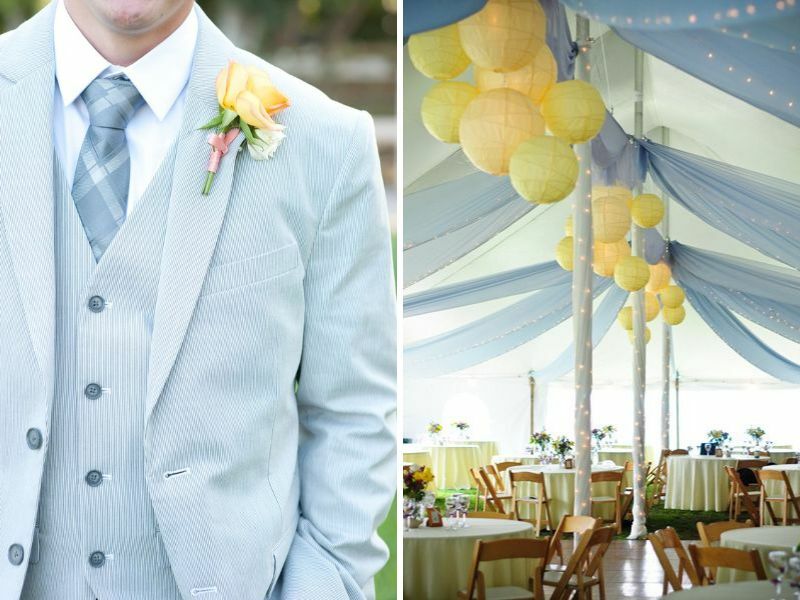 Groom and groomsmen will look handsome in pale blue suits with yellow boutonniere and bowtie. 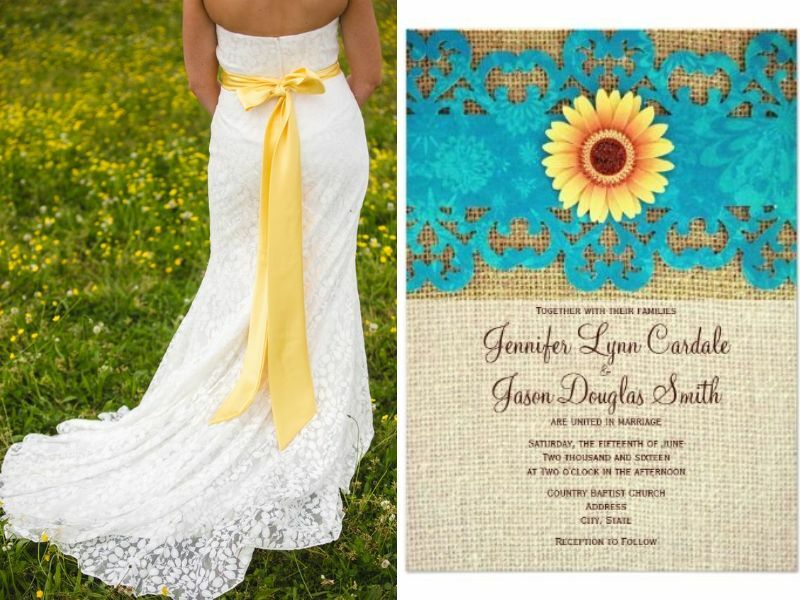 It’s a sizzling combination for daytime weddings. 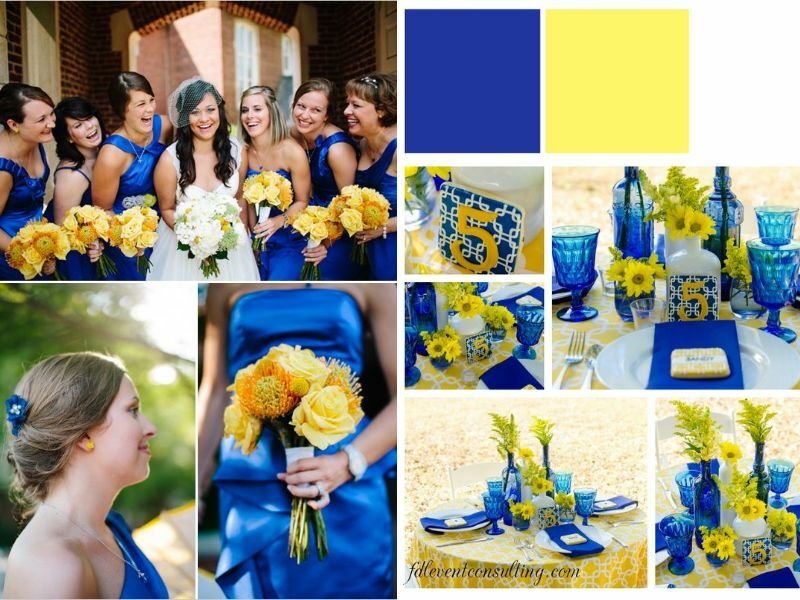 Give off a funky vibe by accenting a vibrant blue color with yellow. 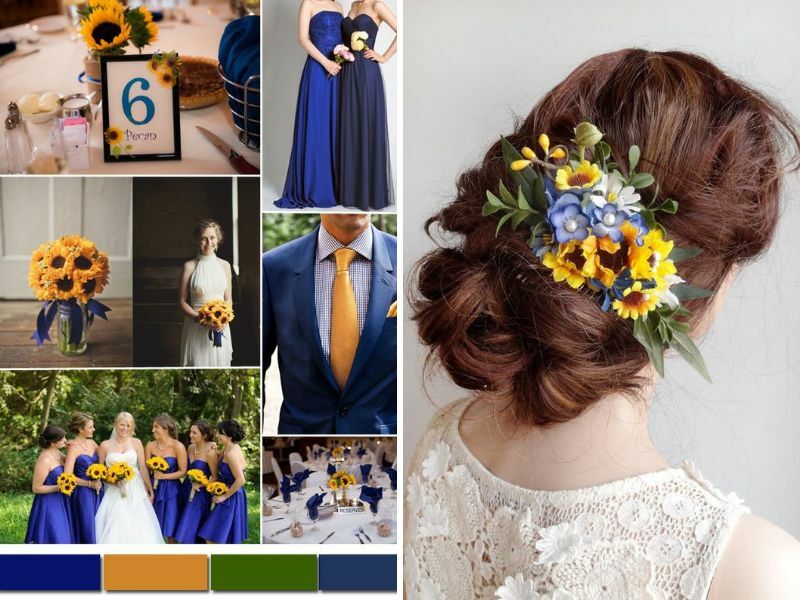 Use these colors in items like wedding invitations, crockery, two shaded wedding cake, bridesmaid dresses, fashion accessories and wedding stationery. 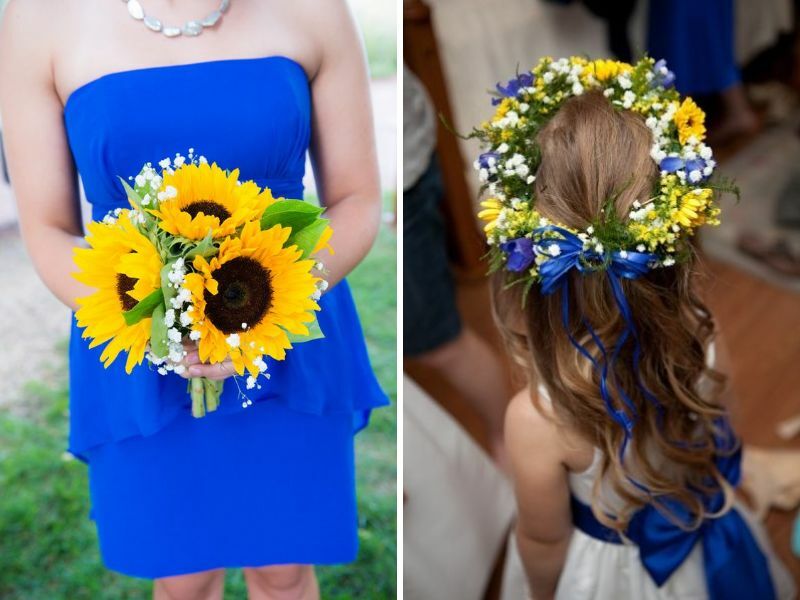 With other floral accents, using sunflowers would simply make it one of the best rustic blue and yellow wedding colors combination. 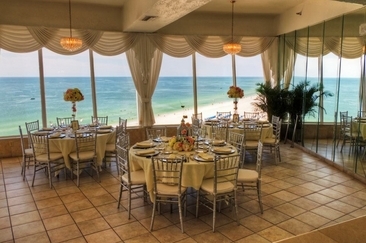 If you have been looking for the best places to get married in Tampa, FL, choose from the places listed here and have a perfect beach wedding this year! 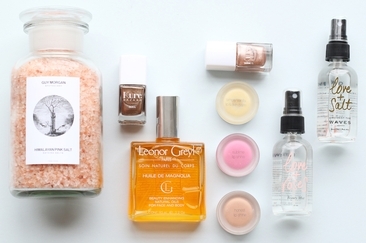 The gift ideas for maid of honour to the bride are important if you are the lucky one. 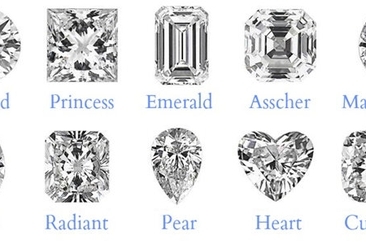 Personalized, thoughtful gifts are the best way to show you care. 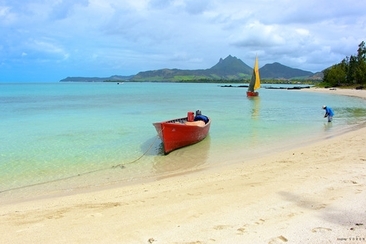 Here are 10 ideas for your inspiration. 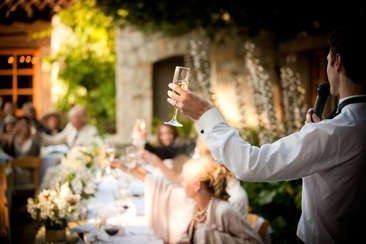 There are a number of wedding customs in Italy you'll want to know to help plan the perfect day, like the wedding date, the dance, rehearsal dinner, etc.